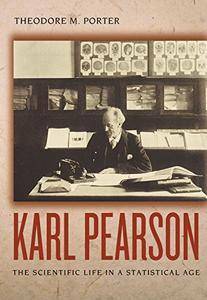 Theodore M. Porter, "Karl Pearson: The Scientific Life in a Statistical Age"
Karl Pearson, founder of modern statistics, came to this field by way of passionate early studies of philosophy and cultural history as well as ether physics and graphical geometry. His faith in science grew out of a deeply moral quest, reflected also in his socialism and his efforts to find a new basis for relations between men and women. This biography recounts Pearson's extraordinary intellectual adventure and sheds new light on the inner life of science. Theodore Porter's intensely personal portrait of Pearson extends from religious crisis and sexual tensions to metaphysical and even mathematical anxieties. 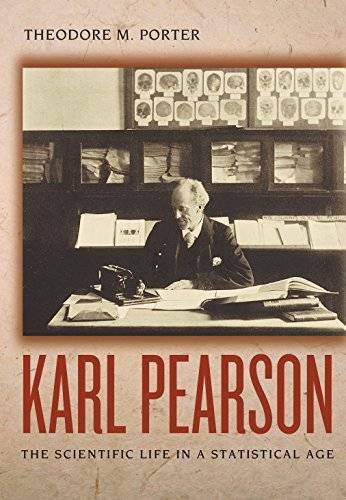 Pearson sought to reconcile reason with enthusiasm and to achieve the impersonal perspective of science without sacrificing complex individuality. Even as he longed to experience nature directly and intimately, he identified science with renunciation and positivistic detachment. Porter finds a turning point in Pearson's career, where his humanistic interests gave way to statistical ones, in his Grammar of Science (1892), in which he attempted to establish scientific method as the moral educational basis for a refashioned culture. In this original and engaging book, a leading historian of modern science investigates the interior experience of one man's scientific life while placing it in a rich tapestry of social, political, and intellectual movements.